So there I was, preparing last Friday’s blog post, Horse Facial Expressions. 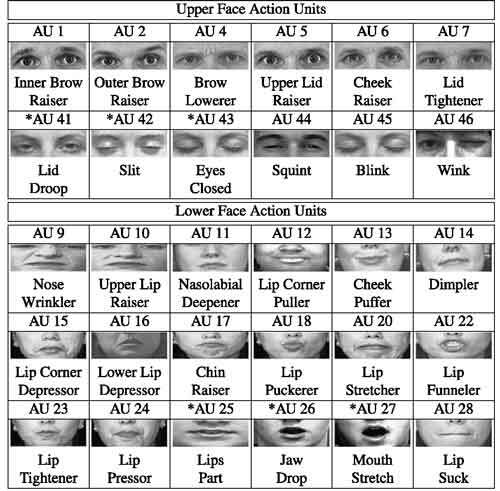 When I saw that the Equine Facial Action Coding System was based on the Facial Action Coding System (FACS) for human expressions, developed and modified by Paul Ekman and colleagues, it hit me: I had seen that name before. Here’s where human facial expressions get way more interesting than equine facial expressions. Ekman and colleagues had taken the next step. 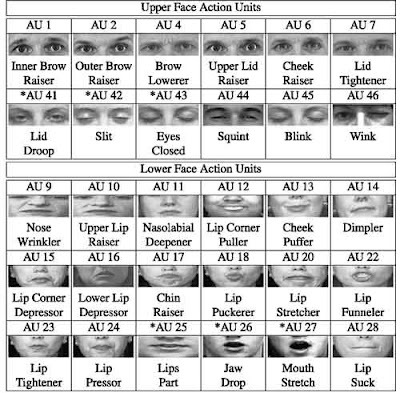 They went beyond developing the FACS catalog of facial expressions to interpreting the emotions behind the expressions. If that weren’t enough, they also showed that very brief, fraction-of-a-second displays of the facial expressions can be spotted. These micro-expressions offer singular insight because they usually occur when a person is deliberately or unconsciously concealing a feeling--they might be lying. If you’re not aware, Ekman is an emeritus professor in psychology at the University of California-San Francisco who is recognized as a pioneer in linking facial expressions and other nonverbal behavior to emotions. The American Psychological Association named him one of the most influential psychologists of the 20th century, and in 2009, he was one of TIME Magazine’s 100 most influential people. After retiring from UCSF in 2004, he formed the Paul Ekman Group, which offers tools and training to “read” and respond to human facial expressions and micro-expressions--or, quoting from the company’s mission statement, to build competency in evaluating truthfulness, improving emotional life and compassionate connection. Lie to Me, which aired 2009-2011, featured a deception-detection expert and team based loosely on Ekman and the Paul Ekman Group. It’s all about helping individuals, corporations and government agencies get to the truth by way of facial expressions, speech and involuntary body language. I didn’t know it when we were streaming the show, but Ekman has critiqued each episode on his website, separating fact from entertainment fiction. If you’re curious about the two studies I almost blogged about, one was from Scotland’s University of Glasgow. The investigators examined whether facial expressions transmit diagnostic signals simultaneously, to optimize categorization of the basic emotions, or sequentially, to support a more complex communication system of successive categorizations. Their analysis supported the latter. The other study was from Ohio State University. 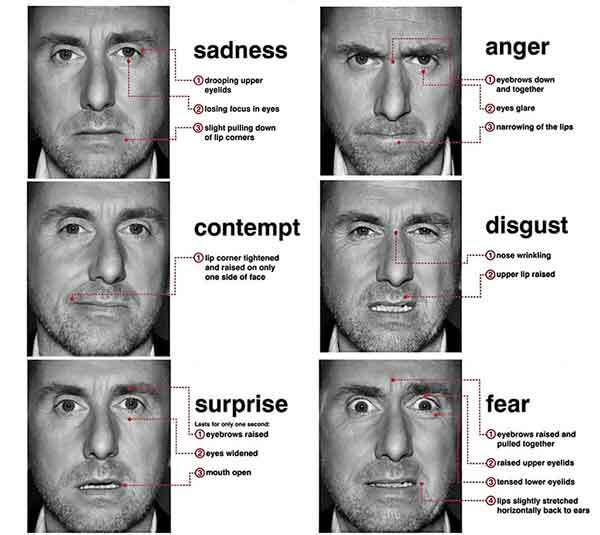 Those investigators conducted a FACS analysis of 230 facial images, arriving at 21 distinct emotion categories which are different from though consistent with the basic categories (e.g., a happily surprised emotion combines muscle movements observed in the basic happiness and surprised emotions). They then used a computational model to demonstrate that most of these categories are also visually discriminable from one another. There’s probably more recent research if you’d like to pursue the topic further.